Billings, MT has entered the hail damage season. Some of the storms of the last few years have produced serious damage throughout the Billings area. Even the smallest hailstones can create wear on roof shingles – a hailstone that is only 1cm can impact your home at 20 mph. 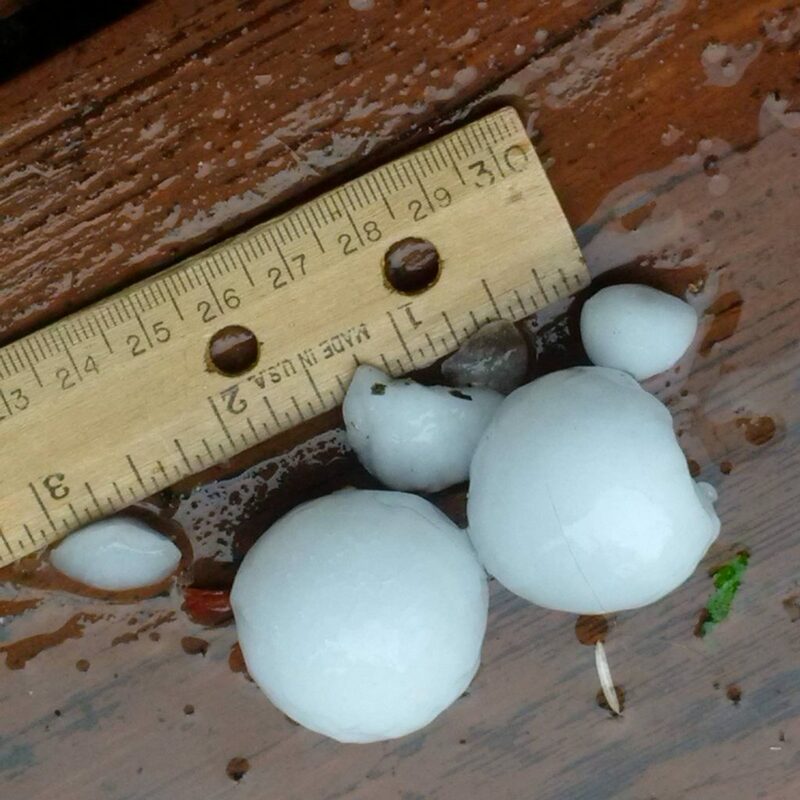 Needless to say there are no ways to protect your home against a hailstorm, especially your roof, however not all hailstorms cause tremendous damage. Sometimes the damage is very minor, although the minor damage can decrease the life of your home’s roof. 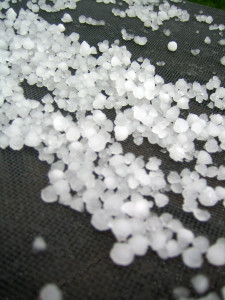 Hailstones can pick away at the mineral granules in the shingles of the roof and this can cause a problem for any homeowner. 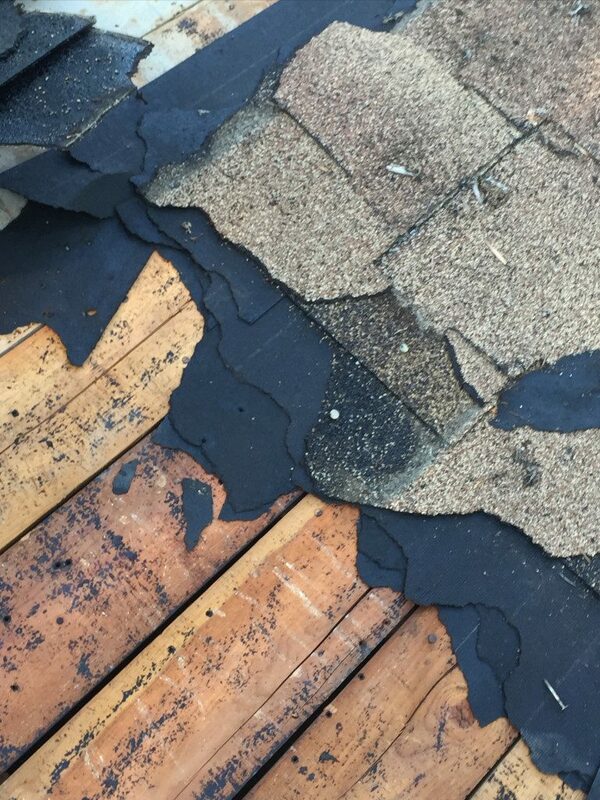 Documenting roof damage is very important if you are relying on your insurance agency to cover a damaged or leaking roof. Optimally, the homeowner should have photographs that show the original condition of the roof. 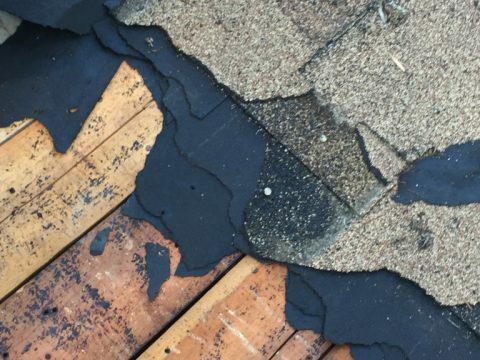 Then after the storm, the roof can, again, be documented, and this should prevent any questions for the insurance companies as to when the damage occurred. However, don’t stress if the roof’s condition has not been documented – walking over the roof every season or after every storm is not practical nor is it safe. The first place a homeowner can check for new shingle damage after a storm is in the rain gutters around the home where the mineral granules, stripped away from the shingle, accumulate. 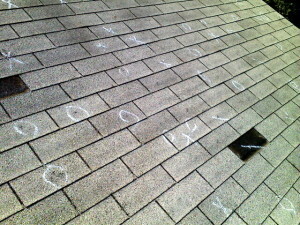 Document the accumulation as evidence of roof damage. Shingle damage will also vary with the pitch and the direction of the face of the roof. Roof shingles will also wear normally with exposure, and southern faces and pitches will usually wear first with the amount of sunlight. 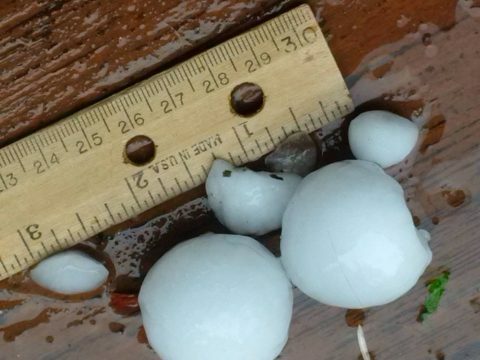 If a storm does indeed drop hail onto your home, don’t panic. In our area of Montana, hail is very common and entirely unpredictable. Having some knowledge as to what hail damage looks like, and proper documentation of that damage will go along way. Also, our professional staff can come out to your home to check the roof after a major storm and provide you with an assessment to any possible damage. Being proactive is the key to enjoying your home worry free. 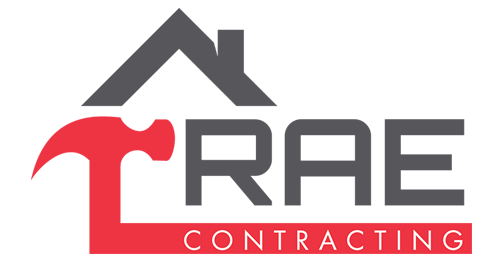 If you have hail damage and would like a free estimate, contact Billings Best Roof Contractors today!